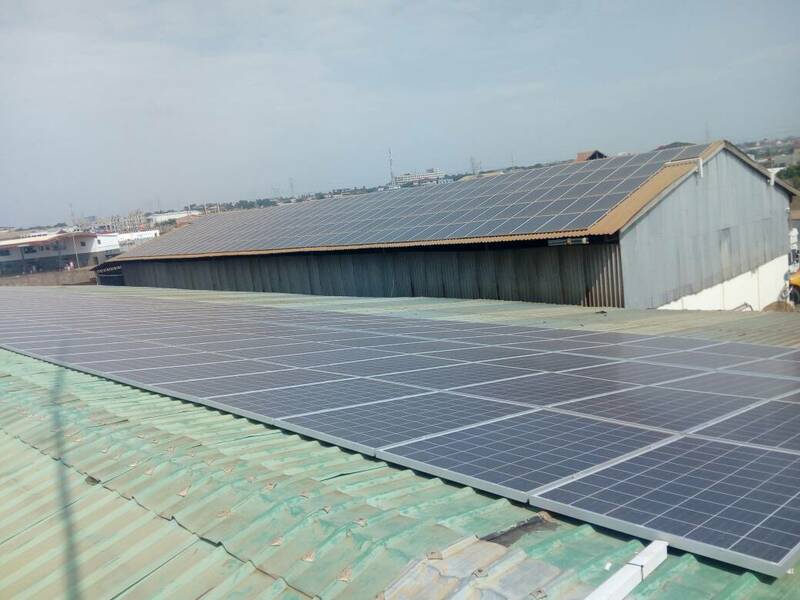 Following on from the success of the first project for Sethi Bothers in Ghana we were asked to roll out further solar PV installations to generate more power. 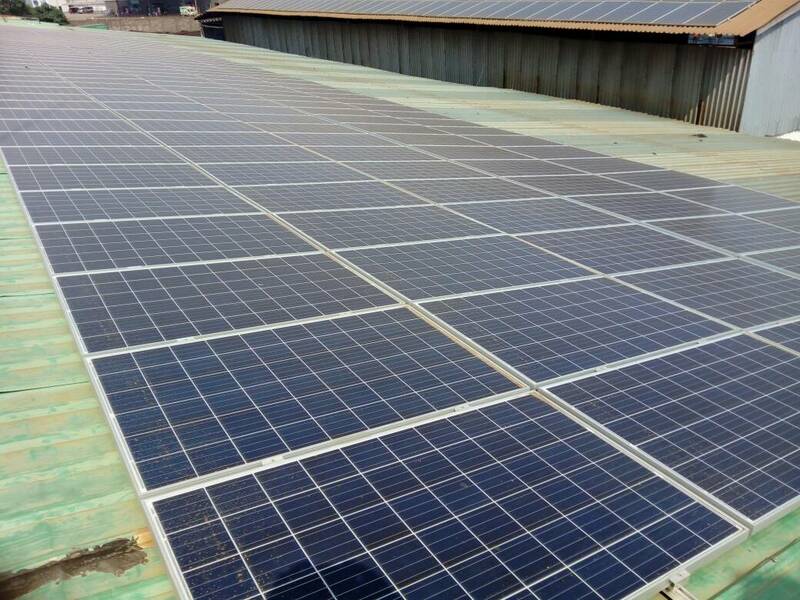 The next phase was to add a further 50kW solar array to another roof of the steel works. 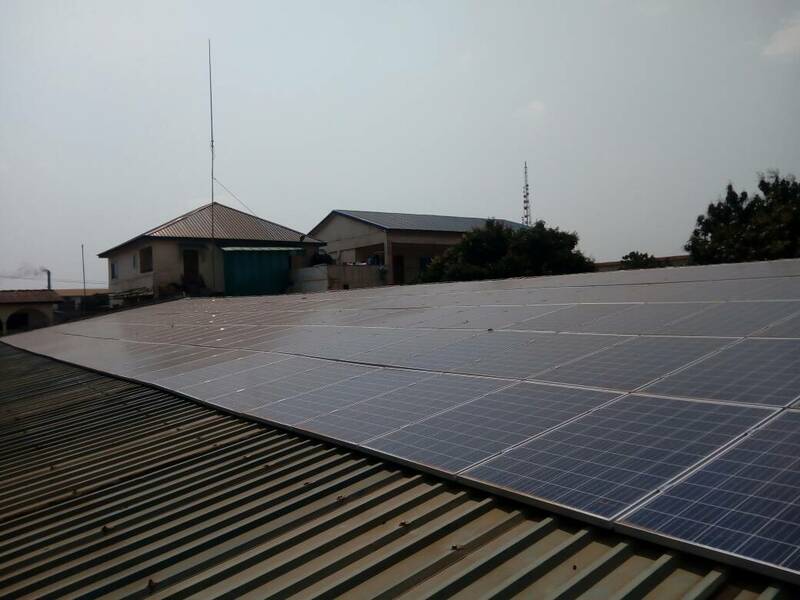 With our partner team in Ghana already trained to mount solar PV we shipped the goods out with all the relevant information. 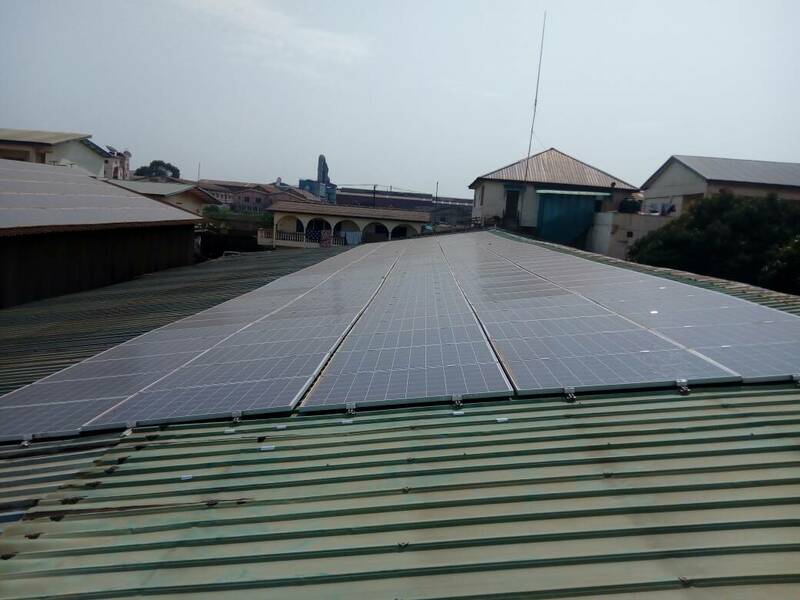 The install used JA Solar 265W poly modules mounted on our TRIC TR Fix trapezoidal mounting feeding into a Kaco Blueplant 50kW inverter. 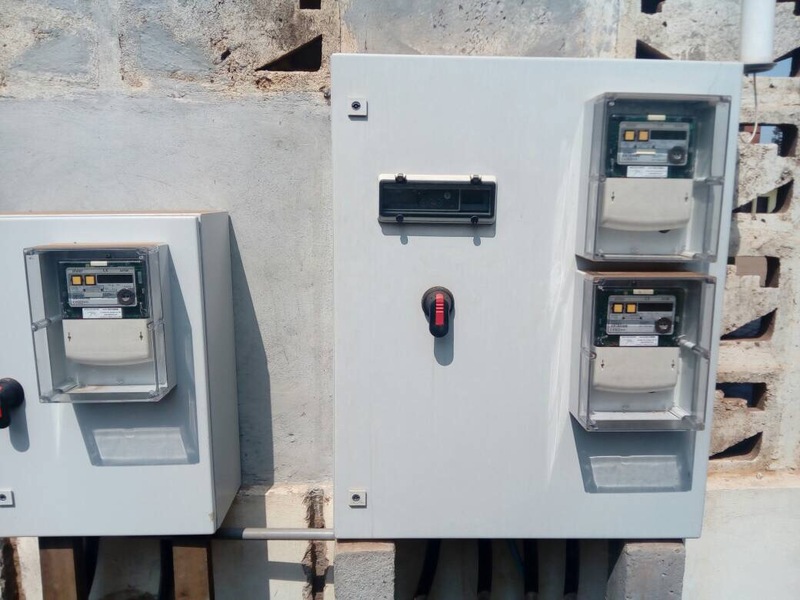 Much like phase 1 international monitoring is provided with the use of an Orsis configured Elster meter. 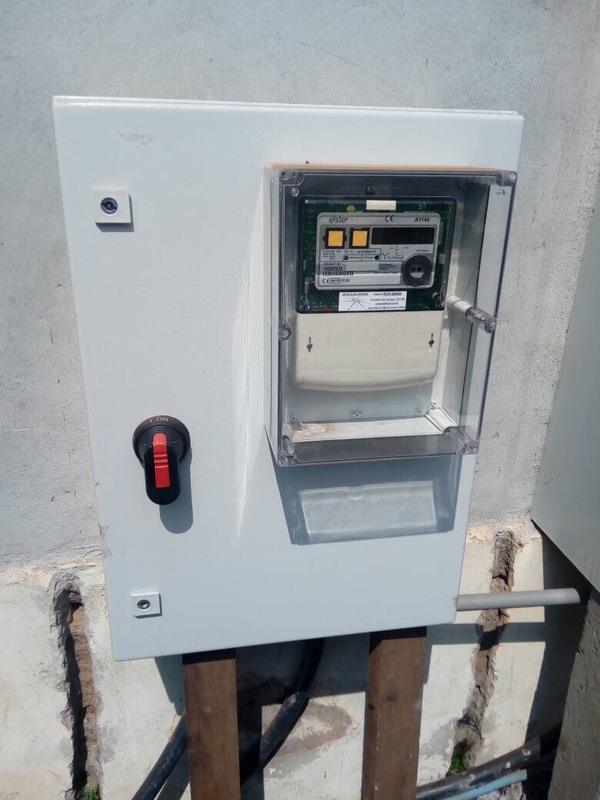 This allows the generation of the array to be monitored from our offices in the UK. 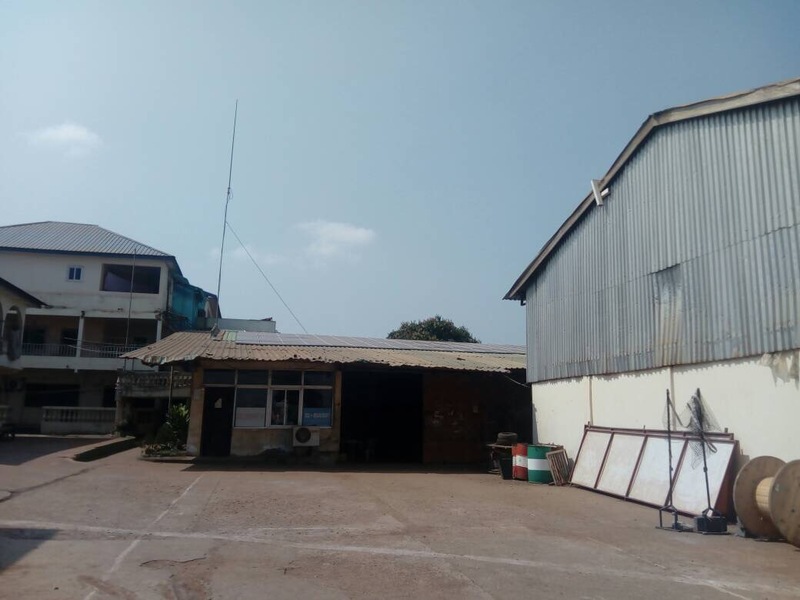 To complete the project one of our technical engineers flew out to Ghana to commission the system and ensure that it was installed correctly and working well.